Re: Join the Official Discord! 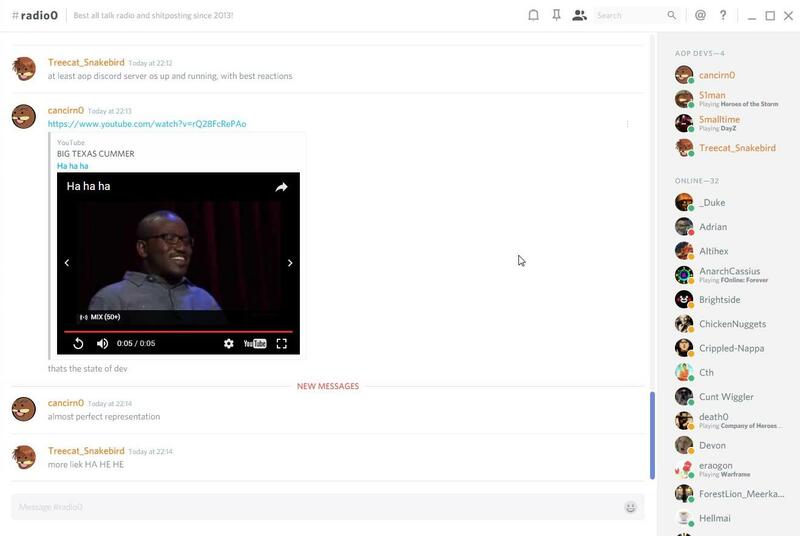 You can still upload and spam videos on the main discord channel. What this entails i will leave up to your imagination, but let me tell you this... eye hurting videos are real.